Grete Gryzwana was trained and certified to teach the Pilates Method by Joseph Pilates protégé, Romana Kryzanowska. Since 1996, from coast to coast Grete has taught numerous individuals from all walks of life. 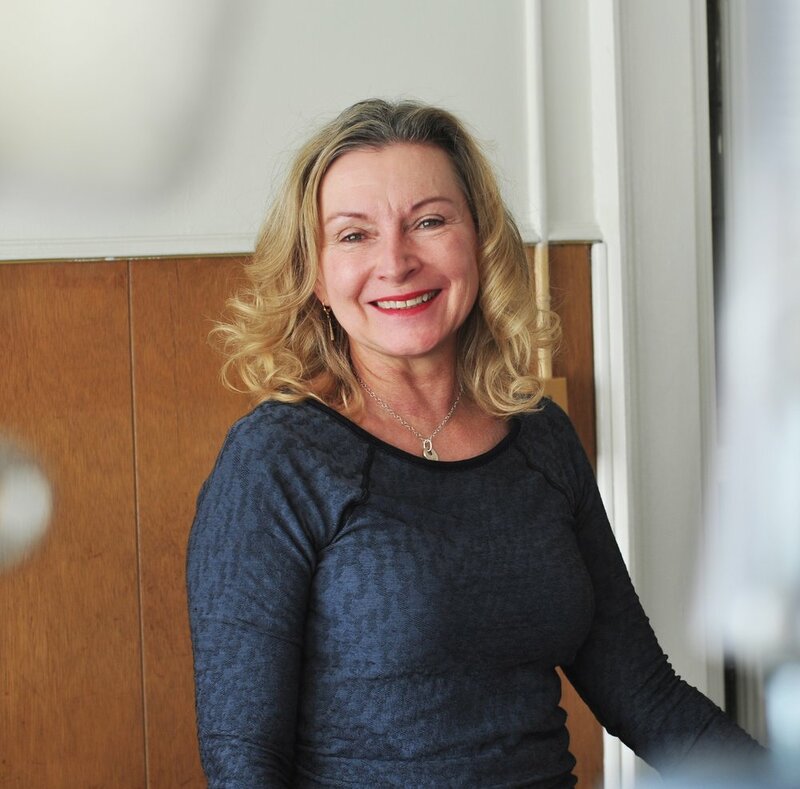 Professional and aspiring dancers, singers, athletes and numerous other individuals have relied on Grete’s expertise and experience to guide them toward optimum fitness through the Pilates Method. "In 1995, I started doing Pilates after a severe car accident. Although I was dancing professionally and competing as an equestrian at the time of my injuries, I was amazed at how quickly Pilates helped me recover, and I surpassed my pre-accident strength and fitness. This led me to pursue certification with Romana Kryzanowska and the Pilates Studio of New York. My plan was to integrate Pilates into the dance and fitness courses I was already teaching. I was accepted into the teacher-training program and as my apprenticeship began, I saw how the Pilates Method develops strong, flexible bodies in all walks of life, for a wide range of activities. Every client's strength, posture, focus, agility and flexibility improved. My plan shifted to sharing Pilates with all kinds of people. I've never looked back. Through the years I've had the privilege of guiding hundreds of individuals toward optimum fitness with Pilates. I continue to be inspired by the work, always learning and experiencing its benefits in new ways. With each new client, overtime, I see the genius of Joseph Pilates at work." Krisna Hanks brings a lifetime of involvement in the fitness and health industry to True Pilates Pasadena. As an entrepreneur, Krisna along with Robert Surenbroek founded East Bay Pilates in 2005 and has been involved in Classical Pilates since 1999. She recently bridged into Romana’s Pilates at Trish Garland’s studio. Ms. Hanks holds a Master of Science degree in Kinesiology from Indiana University and an MBA from the University of San Francisco, along with numerous certifications: Iyengar Yoga (including being on the Exam Committee for Certification in Holland), Power Pilates and Senior Fitness. Krisna is also a Certified Worksite Wellness Consultant and worked as a subject matter expert for the CDC’s Work@Health™ nationwide worksite wellness program. Krisna has seventeen years’ experience as an executive coach for Executive Performance Training, an international company based in Amsterdam, specializing in communication and coaching courses for CEO’s and senior executives. Krisna led courses for McKinsey & Co., ABN/AMRO Bank, Corus Steel, Findus Foodservices, Insinger De Beaufort Investment, DSM, Sabic and others. Her career includes many years in personal training as well as a strong background in theater and dance. Ms. Hanks professional dance career includes performances with renowned directors and companies such as Twyla Tharp, Lucinda Childs, Lisa Marcus, Peter Greenaway, The Dutch National Opera & Aspect Theater London, in Europe, Akasha and Company in Chicago and many others across the globe. Robert Surenbroek has been working in the Classical Pilates Method since 1999. Most recently he bridged into Romana’s Pilates Program under the direction of Trish Garland. Previously he was a teacher trainer for Power Pilates Comprehensive Certification Program. He has taught certification programs extensively both in the USA and internationally in Japan. Prior to joining True Pilates Pasadena Robert was the co-owner/founder of East Bay Pilates (EBP) in Emeryville, CA. In addition to his Pilates’ experience, he has a broad background in swimming and water polo, including being a member of one of the top water-polo teams of the Netherlands. Robert is a certified snowboard instructor from the Austrian Snowboard Association and is an avid snowboarder. Growing up in the Netherlands, Robert received his bachelor’s degree in business management from the Amsterdam Economic School, followed by a long career in the film and television industry. Through many years working as a cameraman and hands-on knowledge of the sporting world, Robert has a unique understanding of the body, and a passion for movement appropriate for all types of individuals.